A family survival adventure – stick together, solve the problems, learn the skills, stay alive. Your light airplane has crash landed in dense forest hundreds of miles from civilisation. You have no food or medicine or matches to light a fire. How will you survive? As a family you will solve the problems and hopefully make it through! Wear clothes you would do the garden in including waterproofs and strong footwear. Bring a packed lunch and midge repellent. 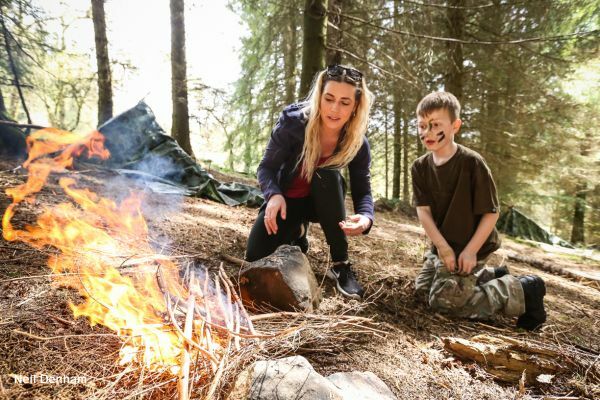 The activity leader, Bruce Ferguson, is qualified through the Institute for Outdoor Learning to teach bushcrafts to groups and has been involved in bushcrafts and teaching woodland skills for over 30 years. All our leaders are DBS checked. £50 per family (2 to 4 people) £10 per additional person. Age 8+ accompanied by adult. Maximum of two children per adult.